On March 26, 2019 the Santa Barbara City Council agenda includes the installation of Laure-Anne Bosselaar as Poet Laureate in the annual National Poetry Month Proclamation. 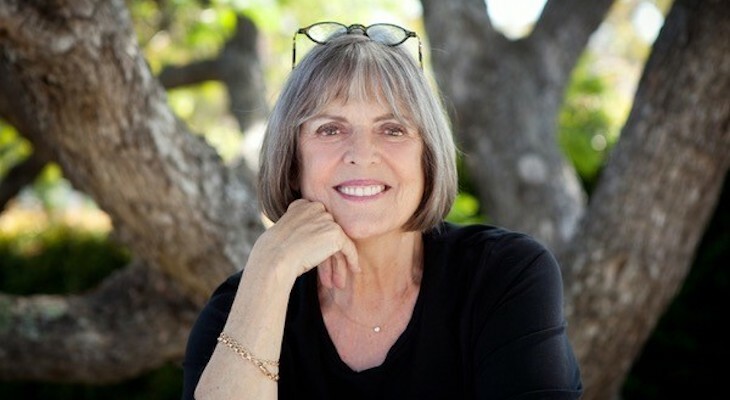 Bosselaar received nominations from a diverse group of educational institutions, poets, and local organizations; she has been active in the Santa Barbara literary community for many years. The Pushcart Prize-winning polyglot poet has authored four collections of poetry and been widely published in anthologies, literary magazines and journals, including Ploughshares, Harvard Review, and The Washington Post. The City of Santa Barbara established a position of Poet Laureate in 2005 in order to direct proper attention and honor to the spoken word by utilizing poetry to celebrate and elevate community events. Since the establishment of the position the City has hosted seven exceptional Poets Laureate—the late Barry Spacks, Perie Longo, David Starkey, Paul Willis, Chryss Yost, Sojourner Kincaid-Rolle and Enid Osborn. All have served to engage the community in greater appreciation for the spoken word, and have enhanced our experience of community events and celebrations through their poetry. City Arts Committee Advisory Members Frederick Janka and Margie Yahyavi, City Councilmember Eric Friedman and Santa Barbara Public Library Community Relations Librarian Jace Turner served on a nominating committee with sitting Poet Laureate Enid Osborn. The subcommittee made a formal recommendation to the City Arts Advisory Committee on March 21, 2018, and Bosselaar received a unanimous vote of support. In celebration of National Poetry Month and the installation of the Laure-Anne Bosselaar as the new Poet Laureate, The Santa Barbara Poetry Series will feature her along with readers Emma Trelles and Taylor Tejada on Sunday, April 7, 7-8:30 pm at the Faulkner Gallery, Santa Barbara Public Library, 40 E. Anapamu Street. The event is free and open to the public. ABOUT THE SANTA BARBARA PUBLIC LIBRARY: The Library is dedicated to supporting education for all ages through classes and events, building a community of readers, empowering individuals with free access to information, and connecting people to community resources. ABOUT THE SANTA BARBARA COUNTY OFFICE OF ARTS AND CULTURE: The Santa Barbara County Office of Arts & Culture (SBCOAC) serves under the County’s Community Services Department as the local governmental umbrella for all arts and culture projects and programs within Santa Barbara County. The SBCOAC represents a longstanding partnership between the City of Santa Barbara and County of Santa Barbara. For over 30 years, both governments have shared resources and staff to maximize support for Santa Barbara arts and culture institutions, programs, initiatives and projects. April 7, 7pm, see and hear her at downtown library, Faulkner Gallery! A big giant humongous congratulations! After all the fanfare, it would be great to read something that she wrote.